How do countries around the world regulate the role that money plays in politics? To help answer this question, in March 2012 International IDEA launched its Political Finance Database, containing data on political finance regulations in force in 180 countries. This report highlights key findings from the database, emphasizing global trends and regional variations. 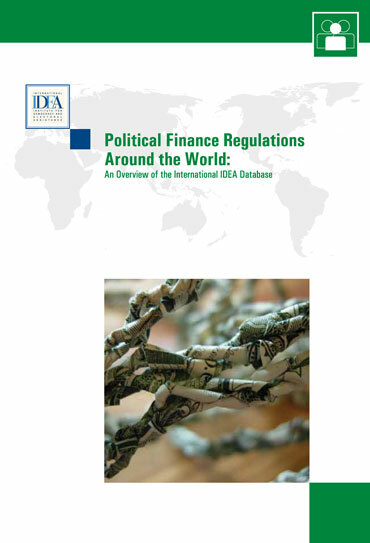 Correlations between key political finance regulations and other variables such as political freedom and corruption are explored. The report concludes with recommendations on the key issues needed for better regulating the role that money plays in politics.